I have a love hate relationship with my hair, it's extremely long and thick, which I love, but it's extremely frizzy which takes forever to straighten or style, which I hate! 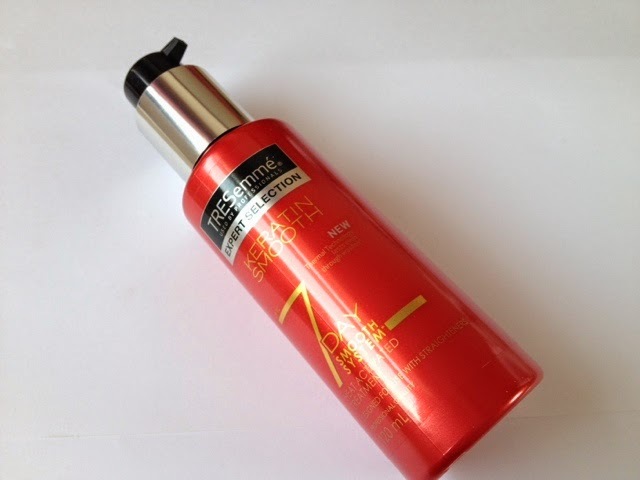 I used to use John Freida 7 Day Straight spray to help keep my frizz at bay, but recently I have seen lots of bloggers mention TRESemme Keratin Smooth range so I thought I would give it a go! I bought this 120ml bottle from Boots for £6.99. "This Heat Activated Treatment, as part of the 7 Day Keratin Smooth System, works with the heat of your flat iron to transform unruly hair into salon-smooth hair that even lasts for one week.You can easily create your style every day with less frizz and more manageability." Once you have washed your hair and towel dried it you apply 6-10 pumps (depending on length of hair), the product is a light cream that I originally thought would make my hair greasy due to the amount I was putting in to my hair, once I started to dry my hair this was not the case, it was drying really nicely and the product soaked in really well. One thing I did notice is my drying time increased as I am so used to using hair oils, which cut down your drying time, but this wasn't a major problem. 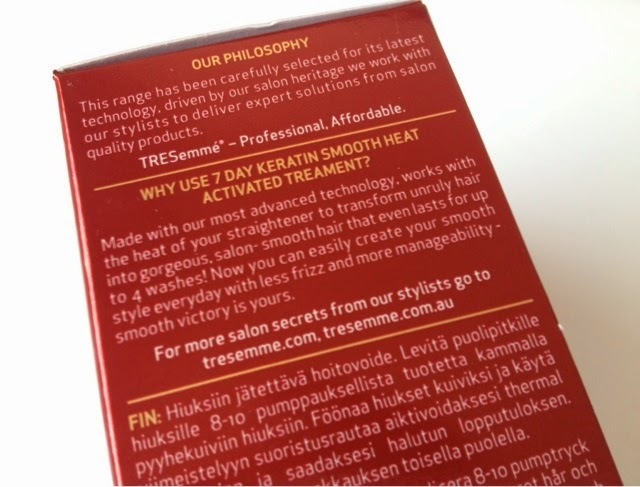 The smell of the product is delicious, like all TRESemme products, subtly fruity that really transfers onto your hair. I then straightened as normal. I only wash my hair a couple of times a week, I'm quite lucky and it doesn't get greasy quickly, but usually after I have slept the frizz comes back and I need to re-straighten, but I have to say the next day I woke up with straight hair! Now, not perfectly straight (obviously) the straighteners needed a quick 2 minutes on my hair and I was good to go again! 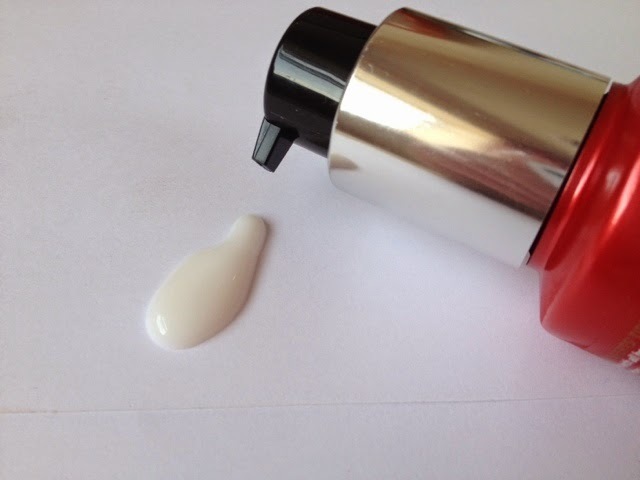 I really like this product and I will definitely repurchase. The product claims to last through washes which for me, it didn't, but even though it claims to do this, with my hair being so thick I wasn't expecting it to, but anything that cuts down the time of me sat straightening my hair is amazing to me! I think I am going to try the rest of the range as well! 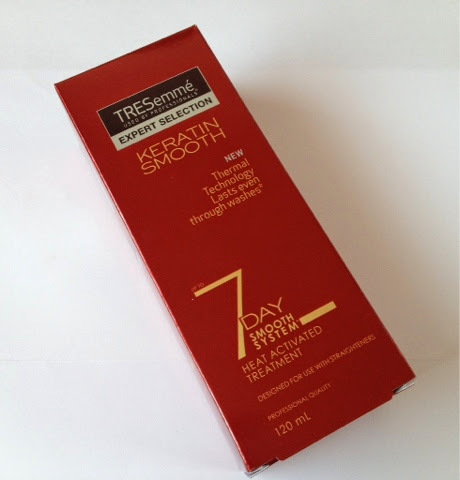 Have you tried this product or anything from the Keratin Smooth range? I have only been using salon brands over the past year and I've seen such a diference from using highstreet brands, although this down sound good.